It could be your company’s annual festival or just another product launch, you will always require a lot of technology to carry out any event successfully. It is impossible to organize any event or function these days without a bunch of LED screens. Today an event is not just about the gathering, speeches, and free food, it is about presentation. And today’s presentation is incomplete without an elegant touch of technology. LED screens are a common sighting at events and gatherings these days. These trends have eventually made their way into weddings and other cultural events. And by no means can we deny their importance and effectiveness. For example, if it is a show that is going to be held at multiple places or if it is a sports band, then a mobile LED Screen rental in Dubaiwould be a great choice. 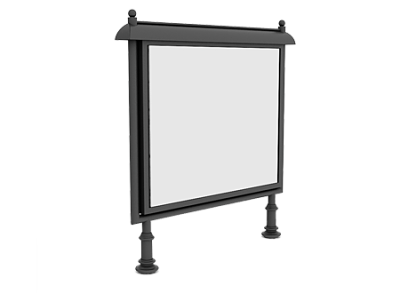 These mobile LED screens are height adjustable and need not be dismantled each time after use. They quite easily fit into the car trailer with its adjustable mechanism in place. They are made to be perfectly durable and are capable to withstand any weather condition. LED Curtains that come in different shape and size are ideally used inside the buildings, open spaces or hanged on the building fronts due to its low weight. They are available in soft, rigid forms to meet the needs. LED floors are another form of communication with the viewers. They not only provide a wonderful visual experience, they can add value to the floor design or can be an independent display of content like numbers, pictures or presentation. However, a large amount of focus should be put on the criteria like how many people are going to watch the content and from what distance etc. It’s your presentation that makes the difference in how you approach the world and how the world approaches you. If your equipment is not up to the standard, you may create a poor impression of yourself. But why risk losing so much for so little? VRS Technologies brings you the opportunity to get your LED screen problems solved just in a blink of an eye. Whether you are planning another promotion event for your business or your company is launching that new product, the best LED screen rental service in Dubai has your back. All you need to do is reach us. VRS Technologies provides all kinds of LED screens for rental. May it be a small scale or bulk order we take care of it all. Visit us at www.vrscomputers.com or contact us at 00971-55-5182748 for more information on LED Screen Rental in Dubai.